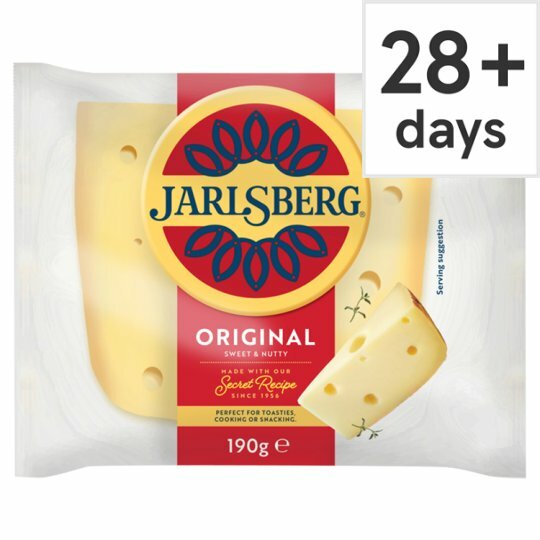 From Norway's Green Pastures to your kitchen table, Jarlsberg® is made with milk from specially selected approved farms and to a recipe we have kept secret since 1956. Mild and nutty with a hint of sweetness, it's a flavour unlike any other. Keep refrigerated., Best consumed within 3 days of opening and by best before date shown. Jarslberg is delicious in cooking. Try it in pasta dishes, salads and fondues; or simply serve on toasted ciabatta.